Subscribe to my email list and stay up to date with new music and coming shows! 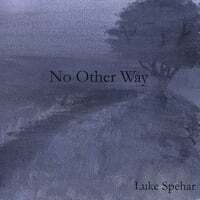 "Luke Spehar has all three-in spades singing writing and guitar playing as well as great studio instincts. Working with he and Sheldon on this record was a great experience." "Ben Harper and I produced the new record for this very talented gent. A great singer, guitar player, writer, and all around good guy." Earthy and honest acoustic backed with livening instrumentation, Spehar celebrates his greatest adventures of his life including traveling America, marrying the love of his life and becoming a father. Moving and original, the raw lyrics and acoustic guitar in this album lead the listener to a thought provoking contemplation of the Christian life. 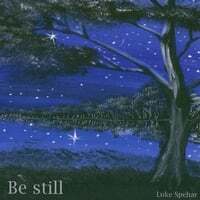 A unique perspective that covers the course of a year in Luke’s spiritual journey. Stirring lyrics tell the story of hope in the midst of tribulation. Backed by rich and intricate acoustic instrumentation and warm vocals, the lyrical content of this album will leave you grateful for the many gifts of life. Following University, Spehar felt inspired to use his gift of music to participate in the New Evangelization. He began recording and then performing around the country and internationally. After touring with Grammy-Winner Ben Harper, Harper produced Spehar’s third album, All Is Gift in 2015, the same year Spehar Married his wife, Elizabeth. Together with their two young children Jane and Mary, they live in St. Paul, MN. Following a successful crowd funding campaign, fans are already celebrating Spehar’s much anticipated new release, The Pilgrim. Your Message Has Been Sent! Thank you for contacting Luke.